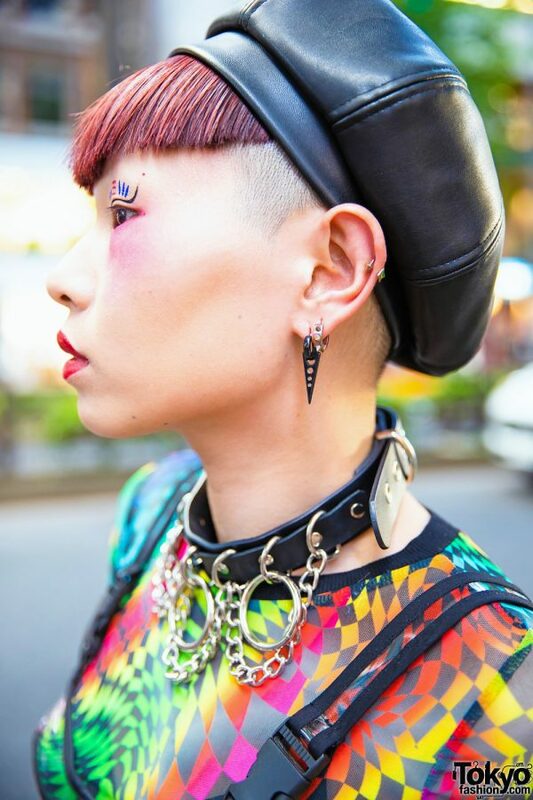 This is Maiko Neuron, a Japanese nail artist who runs her own salon, Neuron Nailz Tokyo. 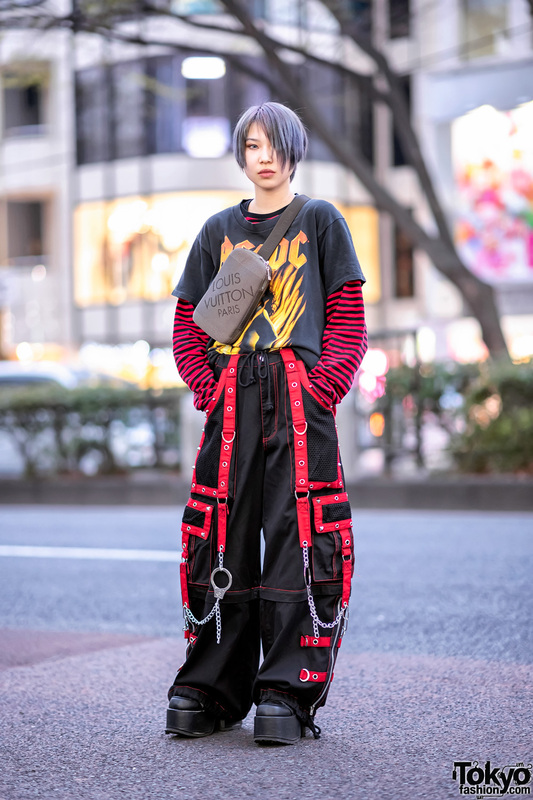 She always brings a dose of color and personality on the streets of Harajuku. She wore a Dolls Kill sheer top with long sleeves and an all-over multicolored graphic print. Maiko styled it with a Club Exx neon green mini skirt, a clear vinyl bralette, and a clear vinyl skirt. Her accessories included a black leather choker with chains, multiple ear piercings, and a black leather beret. 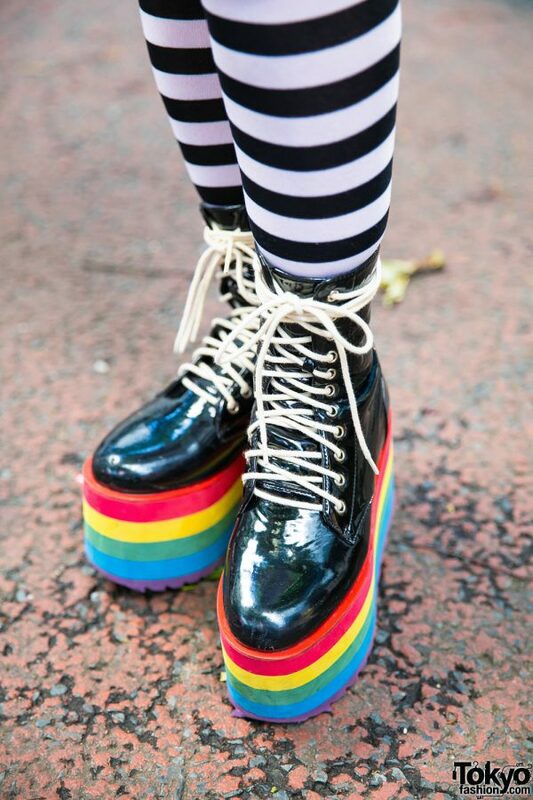 She capped off her look with colorful eye makeup, bright red lips, striped tall socks, and Dolls Kill black boots with white laces and rainbow platforms.